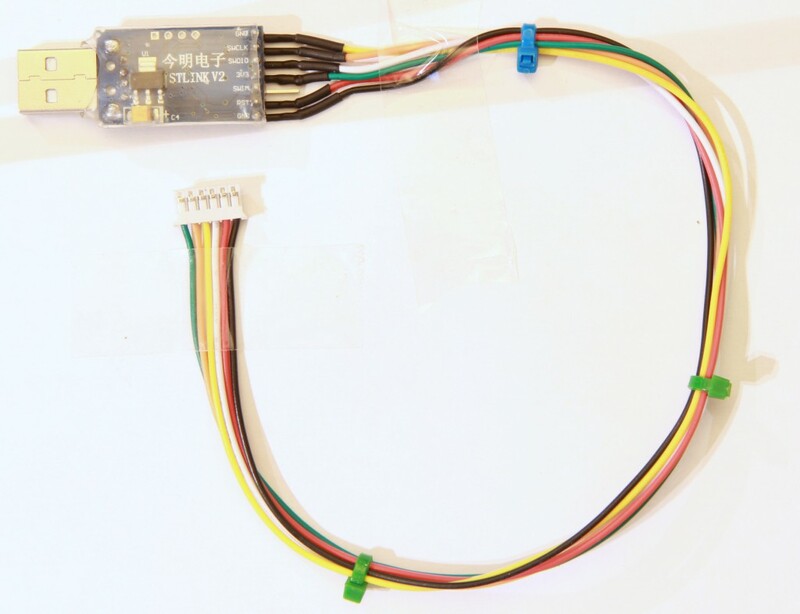 This entry was posted in Electronics/Hardware, Embedded Software, News/Announcements, Projects, Tutorials and tagged Debug, discovery, Program, stm32 by Benjamin. Bookmark the permalink. You can use a 4 wire SWD connector. SWD-GND-SCK-VDD are enough for normal programming and debugging. STLink v1 had only those 4 connections, and its the programmer I use daily, despite its horribly broken usb firmare. Furhermore, the VDD wire can be removed if you short it to VDD inside the programmer. This could save you some pcb area in the future. 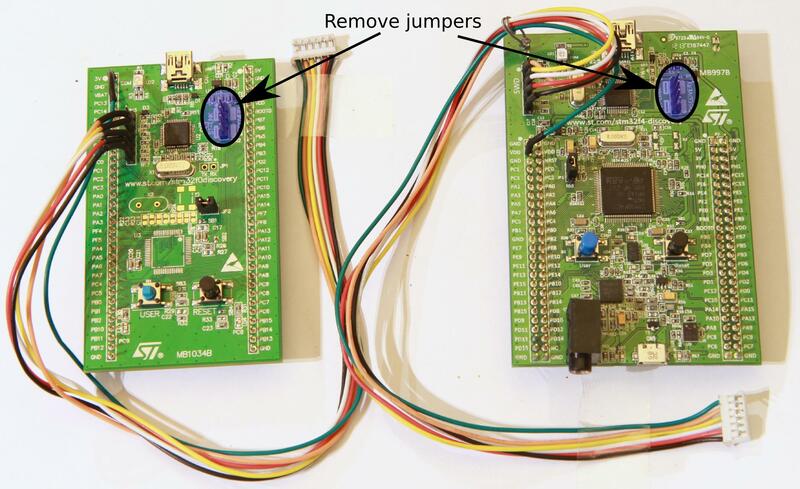 One thing that’s bitten me repeatedly using the discovery boards as programmers is that removing the jumpers isn’t sufficient to use the SWD programming header – the NRST pin is still connected to the discovery target mcu. Either leave the pin unconnected to the board you’re programming (undesirable as having hardware reset control can allow you to program a chip that’s locked up), or undo the solder bridge on the underside of the board to release the pin. On the stm32f4discovery board the bridge is marked SB11. Which software do you reccomend for programming with STlink v2? In which compiler did you program VESC software, so it can be opened/edited directly as it is? openocd. I used eclipse and a makefile project. I have this same error, though the target voltage is different. Ebay link for jst has typo. Thanks for your great vesc. I forgot to mention that I compiled BLDC Tool successfully on mac (that has Qt dependencies installed) after modifying some UI stuff for Qt5. Most of the GUI components now seem to be on QtWidgets package and QApplication::translate does not have UTF8 as a parameter on Qt5. With those few changes it compiles nicely against Qt5 on Mac. I’ve tried it with and without the USB cable connected. I suspect the “unable to connect” indicates a hardware error, presumably in my soldering, unless anyone has other ideas.